Harmful algal blooms (HABs) are a worldwide phenomenon, which have been a cause of concern in aquatic ecosystems since the early 1600s. HABs have massive economic and health impacts such as mortality of aquaculture organisms due to food poisoning, and human illnesses due to exposure or consumption of toxic seafood. In recent years, HABs in coastal areas have increased in frequency and magnitude. This is seen in the Southeast Asian region, where countries such as Malaysia, the Philippines, Thailand, and Singapore have reported HABs on a frequent basis. HABs species belong to a diverse group of phytoplankton, ranging from dinoflagellates to diatoms and cyanobacteria. Cyanobacteria, or blue-green algae, are a group of oxygenic photosynthetic organisms that are found in marine ecosystems. There are about 3000 described species of cyanobacteria that includes toxin-producing genera such as Anabaena, Microcystis, and Lyngbya. These cyanobacteria are capable of forming HABs that have caused fish kills and are a threat to human health and recreational activities. In order to identify the potentially toxic species of cyanobacteria present in marine waters, we first have to understand the diversity of these organisms. In our study, we surveyed the waters of Singapore and Sabah, Kota Kinabalu, Malaysia. Surface waters were used for analysis, and associated ecological parameters such as temperature and salinity were recorded using a multi-parameter probe. 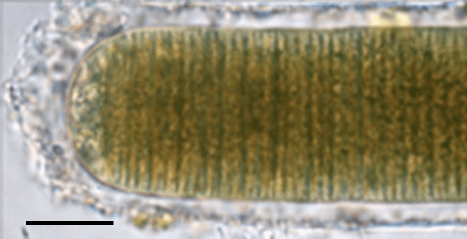 This is the first study that employed the use of the third-generation sequencing platform MinION™, of the Oxford Nanopore Technologies (ONT) to analyze the diversity of cyanobacteria present in tropical marine ecosystems. Full-length 16S rRNA sequences (1502 bp) were used in this amplicon sequencing. This sequencer was able to provide real-time sequencing results, and, within 24 h of sequencing, we identified a total of 40 genera and 46 species of cyanobacteria from seven stations. About half the genera identified contained species that produced known toxins. Moreover, this sequencer could be used for rapid identification of marine organisms such as viruses and bacteria in the field. The portability of this sequencer further enables it to be used for real-time application such as monitoring HABs. In this study, we found that the Johor Strait (JS), north of Singapore had higher species richness when compared to the southern Singapore Strait (SS). Furthermore, the cyanobacterial genus Spirulina was detected at sites that had a wide range of salinities. Species of Spirulina are tolerant to a wide range of salinities and are known to survive in habitats ranging from brackish to marine waters. The presence of this cyanobacterium suggests that the waters they were isolated from have variable salinities and provides an indicator of the ecological parameters present at sampling sites. The ability to isolate and culture is crucial for the identification and characterization of cyanobacteria. However, some taxa of cyanobacteria are difficult to isolate due to the presence of attached microorganisms. Other taxa could not be cultured easily because of their unique nutrient requirements or that they require particular ecological niches such as the presence of other organisms or plant-like macrophytes in order for them to grow. Therefore, our approach of using the MinION molecular sequencing allows a more comprehensive taxonomic analysis and a better understanding of the biodiversity and especially harmful cyanobacteria in tropical coastal waters. These findings are described in the article entitled Rapid profiling of tropical marine cyanobacterial communities, recently published in the journal Regional Studies in Marine Science. Emily Curren, a PhD candidate at the Department of Biological Sciences and the Tropical Marine Science Institute, National University of Singapore. Teruaki Yoshida, an Associate Professor at the Borneo Marine Research Institute, Universiti Malaysia Sabah, Malaysia. Victor S. Kuwahara, a Professor at the Graduate School of Engineering, Soka University, Japan. Sandric CY Leong, a Senior Research Fellow at the St. John’s Island National Marine Laboratory, Tropical Marine Science Institute, National University of Singapore. Emily Curren is a PhD candidate at the Department of Biological Sciences and the Tropical Marine Science Institute at the National University of Singapore.